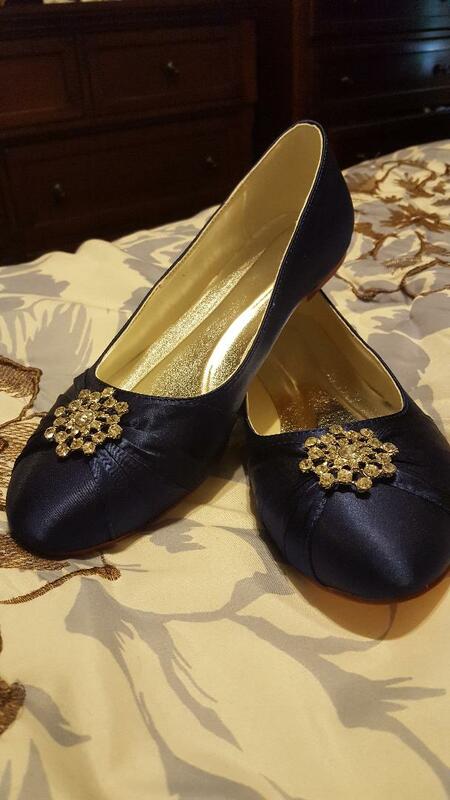 The best place to buy custom tailored wedding shoes for your big day is at amarmoda.com, the world's leading online retail and wholesale website. We offer a large variety of styles at some of the best prices available online! 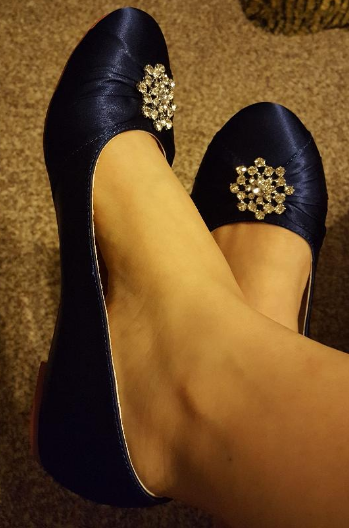 I wanted navy flats that are also elegant for my wedding. This shoe was pretty much exactly what I was looking for with the satin fabric, gathered fabric at the front, and some sparkle on top. I was nervous that there wasn't a preview for what they considered "Dark Blue" as dark blues can range quite a bit and may not be the navy I was looking for. Luckily, the color and the shoe is exactly what I wanted. The white inner lining does show around the top edges of the shoe, but I doubt anyone else will be looking so closely that they'd notice (I hope!). I can't wait to wear these for my wedding! They'll need some breaking in for quite a while first as they seem quite stiff out of the box. Very nicely packaged also and included a cloth bag for storing and transporting the shoes cleanly! I ordered in ivory. Good quality and nice color,comfortable heel height. I only regret that I didn't ordered size bigger. Didn't have time for exchange.